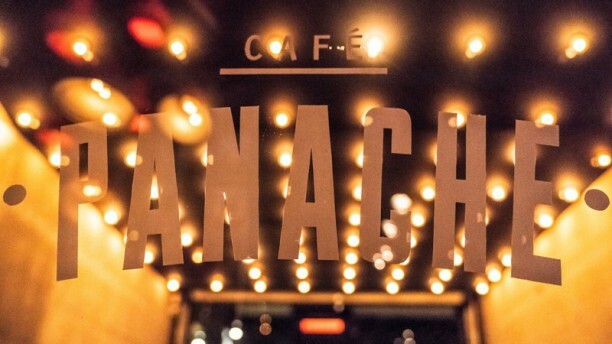 Cafe Panache is located right near one of the most famous markets from Amsterdam, the Ten Katenmarkt. The wooded interior and colored tiles are creating a relaxed vibe. For quality food with an international twist you should definitely come over! EXTREMELY noisy (music very loud + constant high voice level), it was very bothering : communication with the waitress/ waiter was difficult, and we had troubles just to have a nice discussion with my family around the table. Luckily the staff was very kind, patient and quick to make the experience less annoying. Food was excellent (côte de boeuf and sides were delicious), and worth the price. Service exceptional, food splendid & atmosphere amazing. Would come back again and again. Heerlijk gegeten, fijne bediening en een te gekke inrichting. We komen zeker terug hier! Vooral de vis in zoutkorst was superlekker! I'm very sorry to report that this has been my worst food experience. I was stunned at what arrived on my plate as beef tatake, that was a butchered piece of badly cut beef, full of sinew and bloody, not cut against the grain so quite rough and unsavoury with a few lettuce leaves tossed In balsamic. It has left a very grotesque visual memory for me as I've never experienced something so crude as this. This wasn't a matter of disliking a flavour or dish it was the zero attention to detail, lack of skill and knowledge and void of creativity. whoever Is running this kitchen, untie your apron and resign from a role you have no right to be in, appalling to say the least. Grilled rooster we ordered was raw inside which was very disappointing. Though waiter offered us all the possible options to fix this situation - either to cook our dish further till done or get a new dish and we were not charged for this mistake. Great meal - great service. Great food, great place and nice people!!! Delicious 3 course week menu at Panache last night. The atmosphere and service was also very good. We will definitely go back. Café Panache is a very good restaurant! The atmosphere was nice and the food was really good! We ate the shellfish. The service was also good! Panache never fails to deliver. My 3rd time eating there, and service is just as good as ever. Food is forever changing, yet keeping to its roots. The Staff made an effort to make it up, but got drawn really fast by the service shift. As per improvement suggestion it will be first on the 'reception/service'.